Welcome to St. Cecilia Cathedral Grade School, an award-winning Catholic school in Omaha, Nebraska. 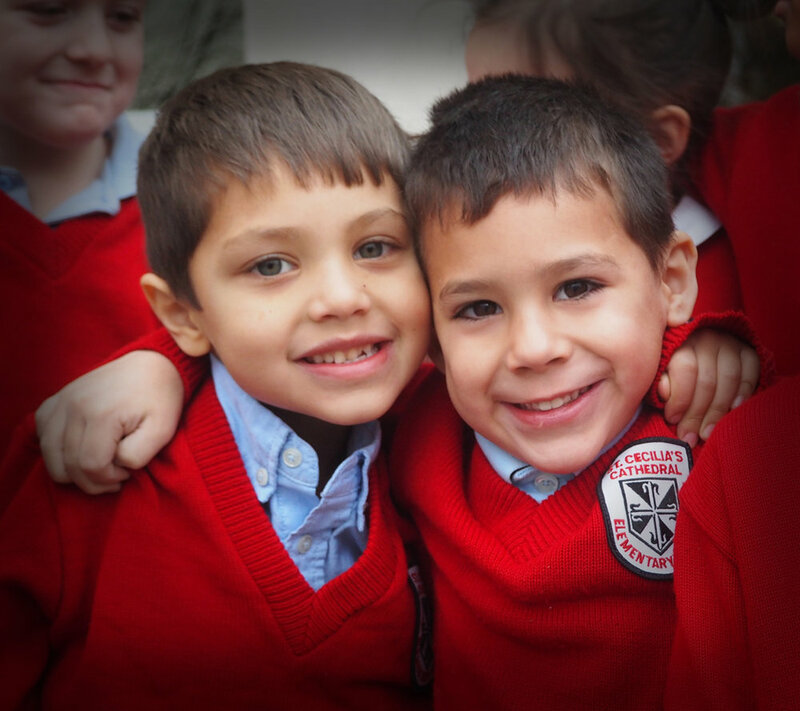 Founded in 1907, St. Cecilia School educates a diverse population of children in PreKindergarten through 8th Grade. St. Cecilia School is committed to fostering a Christian learning environment and proclaiming and modeling faith, worship, service and prayer. In 2007, St. Cecilia was one of only two schools in Nebraska to receive a "Blue Ribbon" award for academic excellence from the U.S. Department of Education. St. Cecilia's academic strength is built on strong parent involvement and a dedicated faculty that averages 18 years of experience. Our goal is to work with parents to provide their children an education of the highest quality and to build a strong foundation for success in high school and beyond.